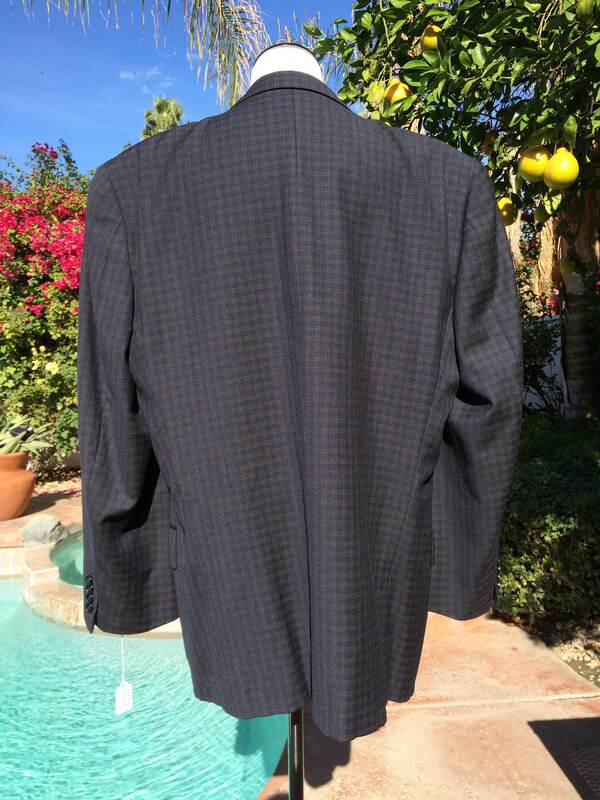 Joseph Abboud Men's Store Bloomingdales Wool Sports Coat,Size 42R. 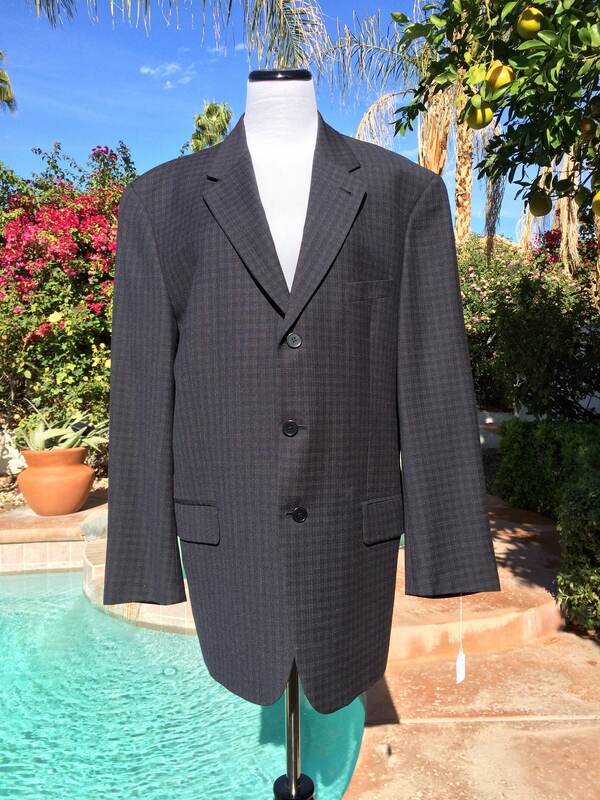 This vintage black and brown plaid jacket is !00% wool and is fully lined.It has 3 buttons, 2 interior pockets,2 exterior pockets and 1 pocket over left part of chest. 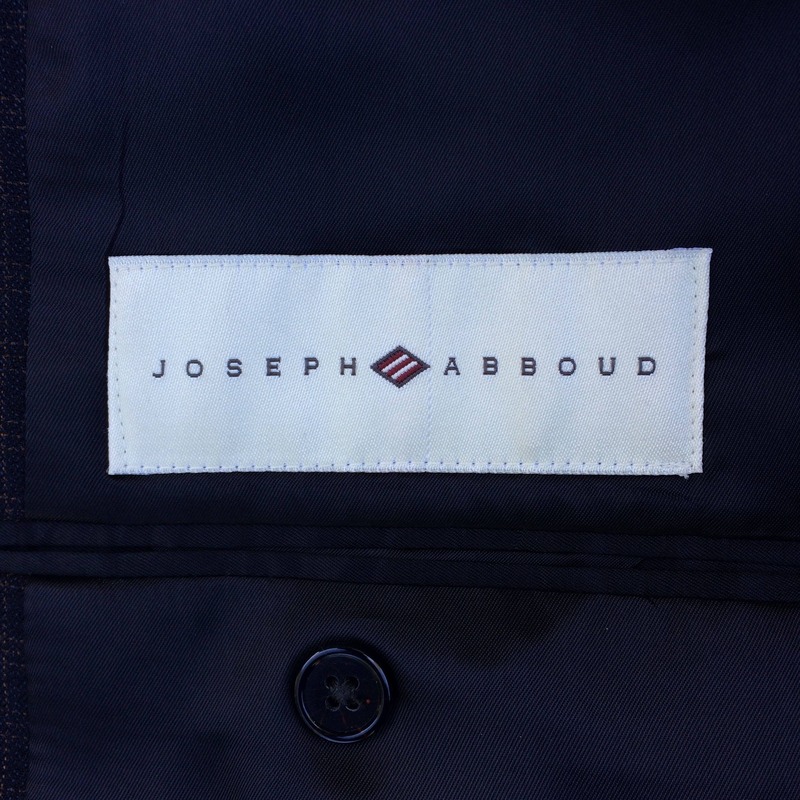 This is a high quality jacket and the label reads Joseph Abboud,The Men's Store Bloomingdale's,100% wool,Size 42R. 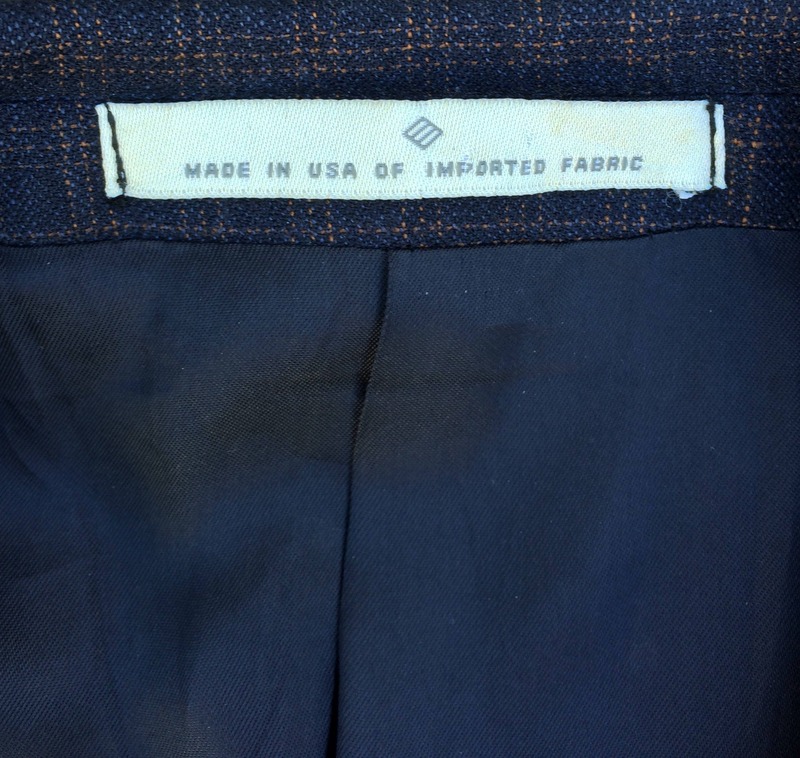 This is in very good/excellent vintage condition and would be a wonderful addition to any man's vintage wardrobe. From arm pit to arm pit 23 in. Sleeve from shoulder seam 24 in. Length from shoulder seam 30 1/2 in.